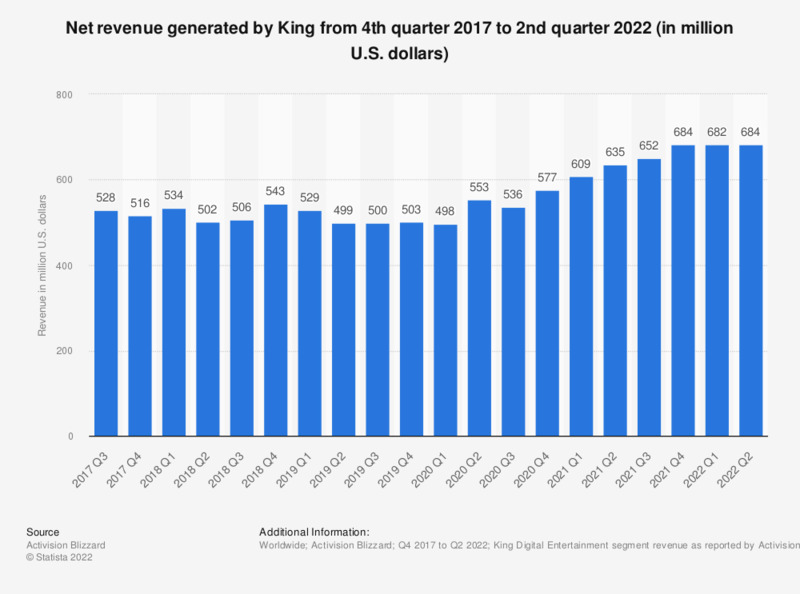 This statistic shows a timeline with the global revenues as well as the gross bookings of King Digital Entertainment as of the fourth quarter of 2015. During the most recently reported quarter the gaming company had generated 461 million U.S. dollars in revenues. Popular titles include Candy Crush Saga, Farm Ville Saga as well as Bubble Witch Saga, all of which are monetized through in-game item purchases. King's gaming apps are available on Facebook as well as on mobile platforms.